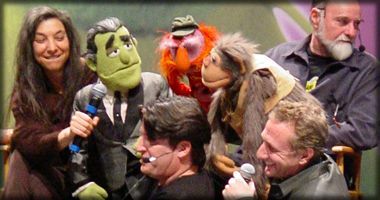 While EM.TV's stock dropped 90% to begin the year, in December fans were treated to a once-in-a-lifetime experience, MuppetFest. Read about the rocky ride in the 2001 Year in Review. Disney's Eisner: Muppets' price tag "not realistic"
Will the real Swedish Chef please stand up? Is Bob the Builder eyeing Miss Piggy?